I only read 12 books this month, which is the least for the entire year. However, I did read the entire Keeper of the Lost Cities series! 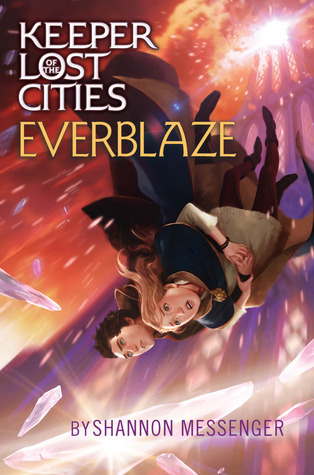 My favorite was Everblaze, book 3 in the Keeper of the Lost Cities series. The series is wonderful and I highly recommend to anyone looking for a nice read. 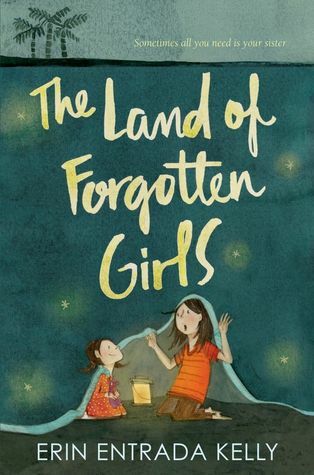 I didn’t enjoy Land of Forgotten Girls as much as I would like. It was kind of jumpy and childish. Also, the younger sister seemed older than the older sister, which was strange. Summary: Very little. I worked on my novel for one full day. I am definitely planning to improve that time this month. In school, we had a writing workshop, but it was only an hour long. I didn’t write as much as I had hoped, but it was still inspirational. I had minimal posting and for that I’m sorry. However, we passed 110 followers and I am so grateful. Thank you, Winged Wonders! My most popular post was my very late April Chats. My favorite post was the little history of my writing life that I did for HARPS. It’s time for the May Blog With Wings! The Blog With Wings is a monthly award, here at A Purpose of Winged Dogs. Each month, this award is given to a fantastic blog. For information, click here. May’s Blog With Wings Is…. Tunes of My Heart is run by the creative and talented Rebekah. She is such a valued member of our blogging community with a gift for photography. Rebekah also posts about her writing. Rebekah also launched her monthly newsletter, The Studio Splash. Check it out here. Rebekah, here is your award. Feel free to display it on your blog somewhere! Because of my late Chats post, I did not have any May goals. Record my favorite posts after I read them for June’s Chats. What’s ahead for June? Well, next week, my Summer officially begins. School shall be over for this year! Also, June is the month when this blog began. One year of winged dogs! I cannot believe it! I hope that you all have a fantastic June! Funny story about this post: I wrote it, but it didn’t save so when I exited the screen then went back, it was all gone. This is the rewrite. Has this ever happened to you? Ugh, don’t you just hate it when posts delete themselves. That’s one of the reasons why…I switched to WordPress! Would you mind checking out the blog, refollowing, and let me know if anything seems off with the design? Anyway, I wanted to go see Solo and Infinity War, but I’m just going to have to wait until they come out on DVD *sighs* How were they? Of course! I checked out the blog and followed. Both movies were pretty good. I enjoyed Infinity Wars more than Solo, though. The saving problem HAS happened to me- SOOO aggravating! I love the KOTLC series!! I’m also trying to write more, but I never have the time! Oh no, I’m sorry! Yes, KOTLC is amazing! That’s okay. Instead of trying to do big projects, start with little projects like poems or short stories. Of course, I really love your blog! Thanks Rebekah, I wish the same to you! Happy June! I hope you have a most wonderful month. 🙂 And 12 books is great!! Good luck with all your goals for June! Happy June! Thank you, Olivia. I hope you achieve all of your goals as well! Good luck on your goals! I can’t wait to see what’s next! Thanks, Amalee! I can’t wait to see some more of your posts! Cool post, Rose! Congratulations (late, very late) on winning first place with your orchestra! Thank you, thank you! I’m sorry you had that experience. Your welcome!! Yeah… oh well, it happens to everyone!